Beetles are an extremely large and diverse group of insects and are generally less active around flowers than bees and butterflies but are important pollinators in some regions of the world. 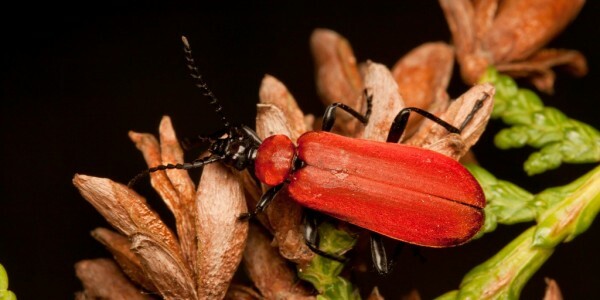 However, beetles are more likely to consume parts of plants and flowers instead of just drinking nectar. As they move from place to place searching for food, they may transfer pollen from the flowers they visit. Many species of beetles use chemical defenses to ward off predators. Some of these compounds are capable of causing mild burns or blisters on skin.